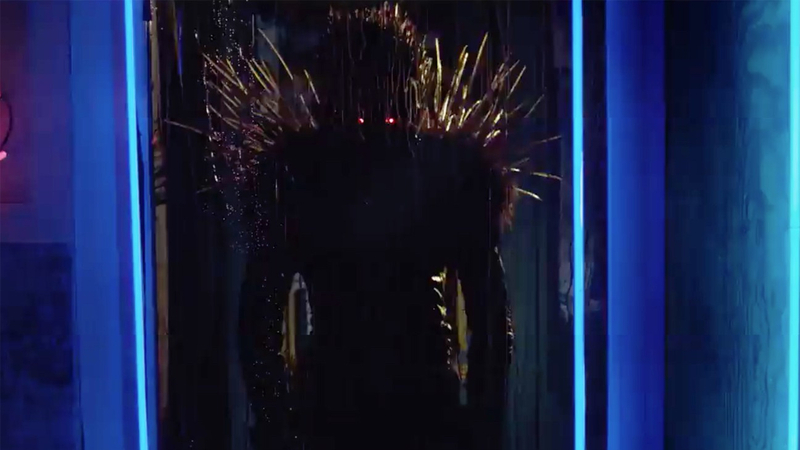 The Netflix, live action, film adaptation of the popular Japanese Manga Death Note, really has tongues wagging at the moment. Unfortunately it seems for all the wrong reasons. Prior to release people were crying out about the film being a case of whitewashing, because they had taken the source material and moved it from Japan to the USA. I really didn’t see it that way, from my ivory tower of white male privelege. But I mean it’s nothing new seeing Hollywood take a good idea, bring it back home, dumb it down and basically Frankenstein it into something they deem more palatable for their intended audience. Now if I was a fan of the source material from the get go I might feel otherwise, and it’s probably justified. However I’m coming at this from the position of a largely ignorant Netflix subscriber who is just thankful to have some new content. I know of Death Note, and I’d seen that it was pretty popular among anime and Manga fans but I’ve never actively sought it out. But I might now that I’ve seen this movie. The concept is really cool. This young guy named Light Turner played by Nat Wolf (in the original he’s Light Yagami), discovers a book that belongs to a Shinigame named Ryuk. Now a Shinigame is a Japanese Death God. The western equivalent would be the grim reaper. The book is a Death Note book and the way it works is if you know someone’s face and can remember their name, you can write that name in the book and include the way you would like to have them dispatched. Then the death god takes care of the rest. Light, is a geek kid, he’s a typical white middle American nerd, far from popular, too smart for his own good and he’s struggling to fit in to the point where it could send him bad. Once he finds the Death Note book and meets Ryuk, voiced by Willem Dafoe, it doesn’t take him too long to be radicalized. He thinks that via the book that he can dispense justice anywhere in the world and he does. He’s joined by his cheerleader girlfriend Mia, played by Margaret Qualley, and she serves as kind of the devil on his shoulder, pushing him to take tings further and further. It’s kind of a tale about what may happen when all of that teen angst goes unchecked, and for the most part you’re right there with Light when he plays judge jury and executioner, until you’re not. The morality play in the story is great. Questions posed include who has the right to set the rules as to who lives and dies and at what point does someone with the ultimate power to dispense justice become corrupted by that power? Those are the parts I really enjoyed about this movie and the majority of the cast all played their roles incredibly well. Particularly the super weird L, sent to find the person responsible for all the death note killings, played by Lakeith Stansfield. He works so well against Light’s character. While you’ll find yourself on team Light for most of the film, L is the one that slaps some sense into you. That kind of throws you a bit because he is so eccentric and Light seems so normal. Director Adam Wingard has taken on a pretty ambitious gig with this. The anime series was 37 episodes and he’s tried to cram that into about an hour and forty minutes. As a result, you never really feel the gravity of the decisions that Light and Mia make. It moves super fast, and because of that the character development suffers and strips lot of the depth from the story. And while I think Willem Dafoe was a solid choice being cast as Ryuk (who looks rad by the way, like some giant Japanese demon muppet) he just phones this one in. I even read that he didn’t bother to make any effort to acquaint himself with the source material, he’s just rocked up, jumped in the voiceover booth, read his lines and fucked off. I didn’t hate Death Note, I thought it was ok. I do understand why it has raised so much vitriol among fans though, but guys, you’re gonna have to get over it. You’ve got 37 episodes of a cool anime (that I’ve now been inspired to check ouy) you can fall back on. Stick to that and you’ll be apples. Watch the movie and you will. Death Note gets a low pass with 3 out of five. There’s a lot of vitriol about it among fans and I think they’ve probably missed the intricacies of the characters by trying to do too much in such a short time but it’s not a complete disaster. I’m definitely interested in seeking out more Death Note now though.